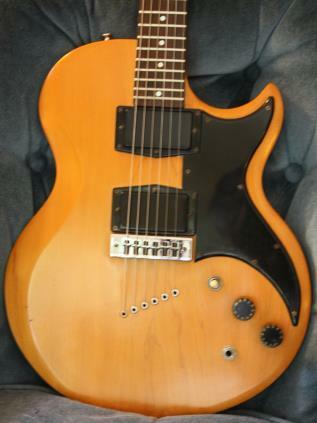 One of the more intriguing models to emanate from Gibson in the mid-1970s, the L-6 was favored by Carlos Santana and Rich Williams of Kansas, along with several other notable players of the day, and quickly proved its power born from a marriage of Gibson tradition and a sleek, efficient, modern design ethos. Designed as a slim, solid bodied take on Gibson's great "L" series archtop jazz guitars, the L-6 capitalizes on the properties of a tonewood that is rarely used as a solid timber by this vaunted guitar maker. A body and neck of solid Grade-A maple give the L-6 unprecedented sustain and clarity, along with a chimey depth that is further enhanced by this model's overall design. This single-cutaway solidbody is finished with nitrocellulose lacquer, a traditional finish known for encouraging resonance. The Grade-A maple neck is carved to a fast, slim profile that measures .800" at the 1st fret and .930" at the 12th. The Antique Natural L-6 is topped with a rosewood fingerboard. 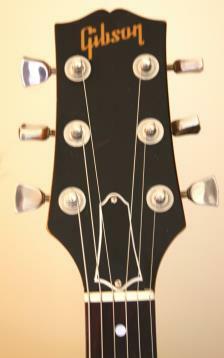 It features 24 medium-jumbo frets and 12" radius for easy, choke-free bending. 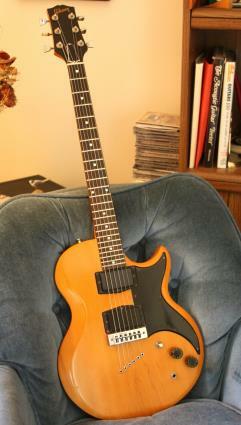 In the electronics department, the L-6 is classic Gibson. Two Bill Lawrence humbucking pickups give you everything from smooth, vocal warmth to crunchy rhythm and snarling lead tones.